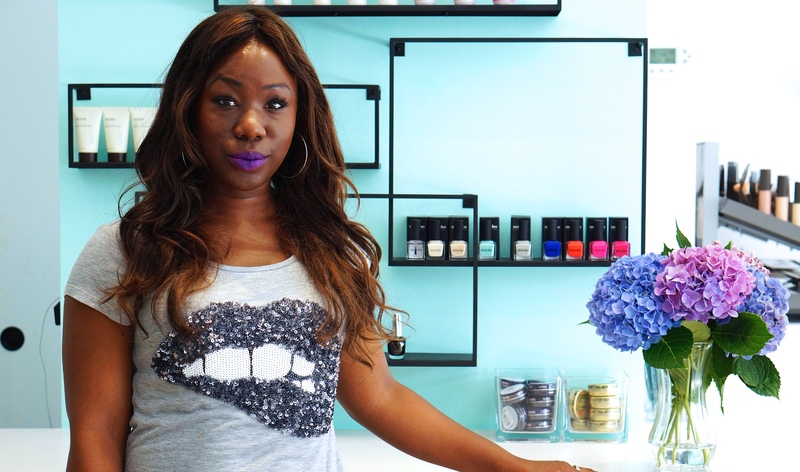 Recently, I stopped by the new Vivrant Beauty Shop in Harlem for a quick look-through. 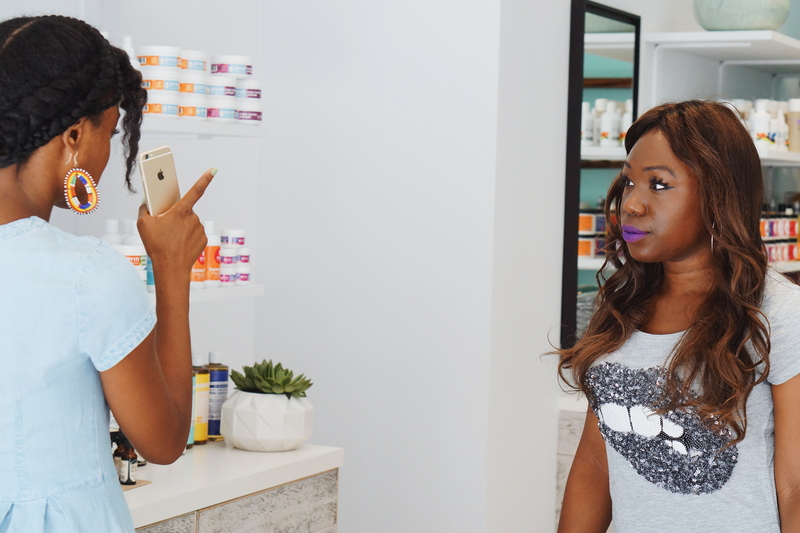 I met Desiree, owner, who explained to me that most of her products are from black-owned companies. 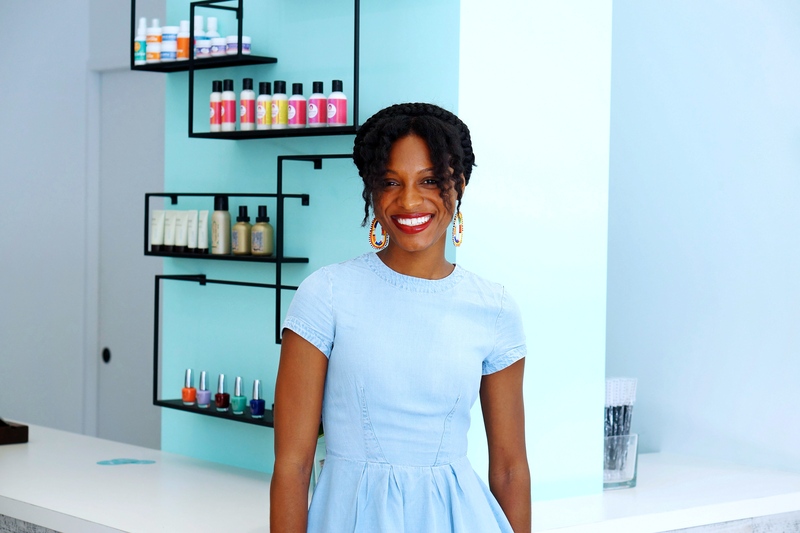 Her shop is full of products for women of color too and I just wanted to grab a handful of the stuff and try it! 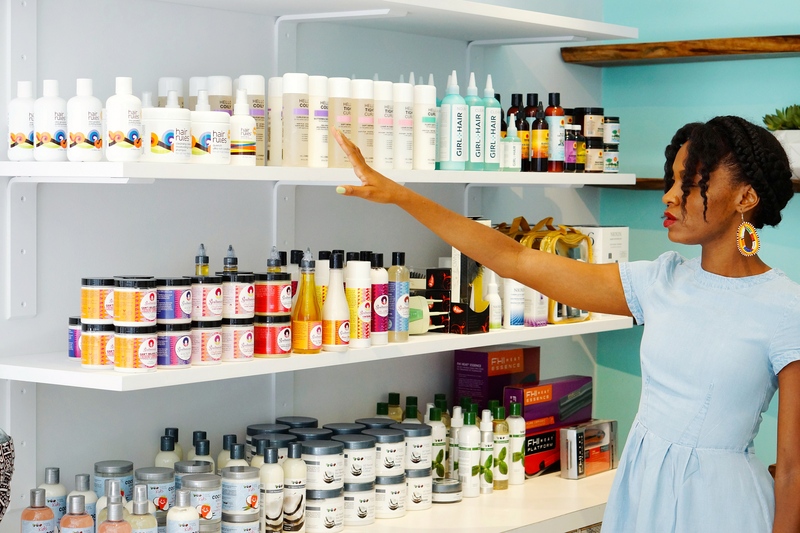 Brands like Briogeo, Helli Coily, Soultanicals and Oyin all are sold at the store. Most of them are natural products, free of toxic ingredients which is really important. I wore my sequined lips t-shirt, a play off the Markus Lupfer shirts and a pair of ripped jeans (these Treasure & Bond are cool and these Current/Elliott). 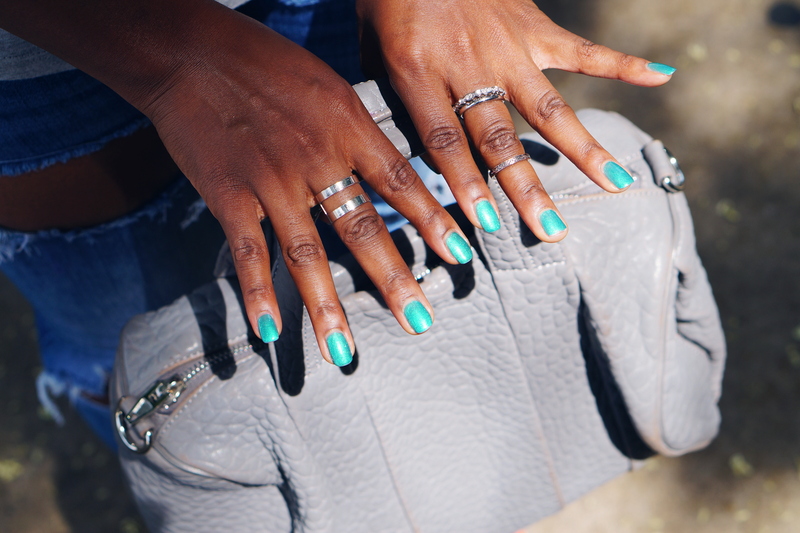 I paired it with vintage Manolo Blahnik grey booties and my Alexander Wang grey handbag (similar here). 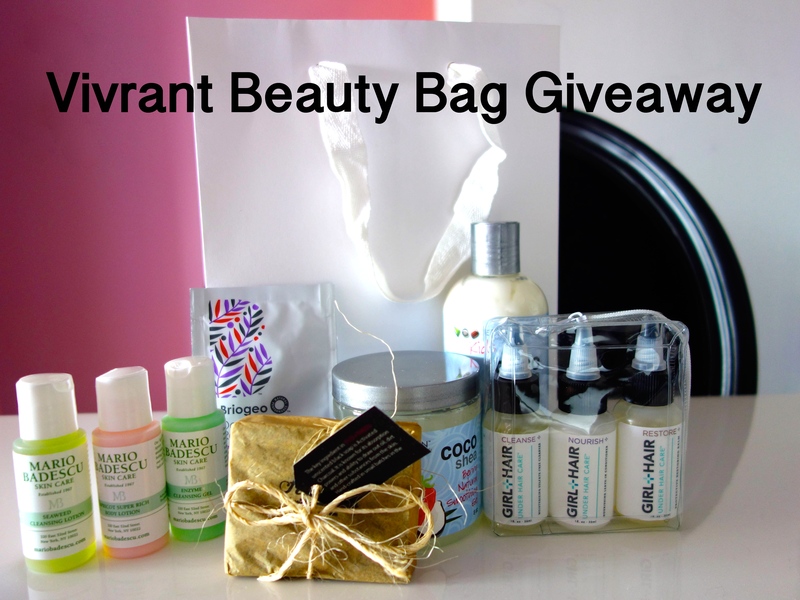 So, we’re giving away a beauty gift bag! 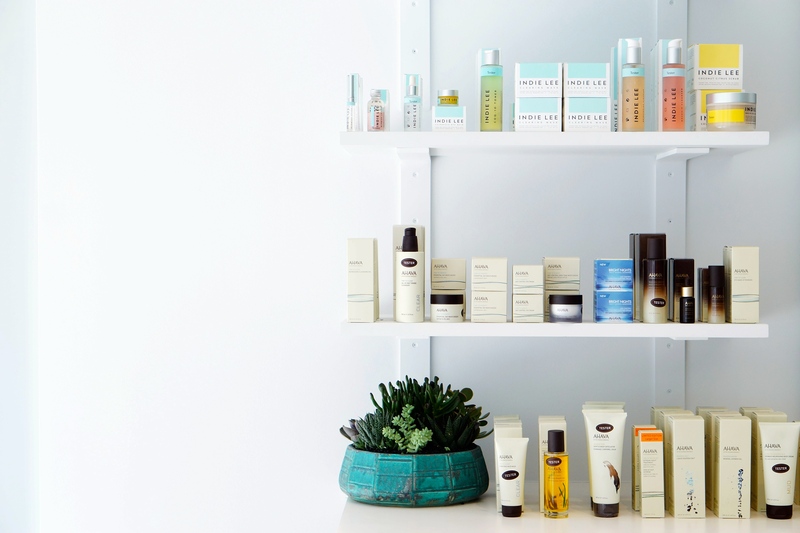 It’s full of beauty goodness: Girl Hair products, Eden Bodyworks Coco Shea Berry Natural Moisture Milk and Natural Smoothing Gel, Mario Badescu Skin Care Line, the most amazing soap from Flo + Theo, and other samples. Simply like our Facebook page, leave a comment on what you think about the shop, or follow us on Twitter!